Ah, city life. It's a blessed experience for the city girl who knows how to work it. Anything worth carrying from sun up to sun down must be the perfect blend of functionality. 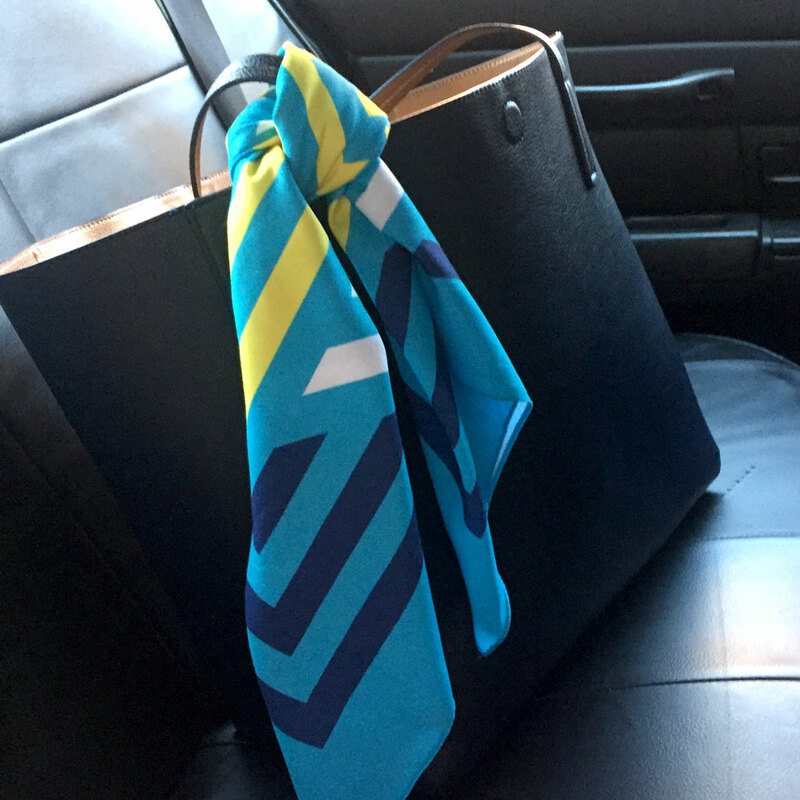 Here's how a Nuno Wrap in Captain Blue helped one city girl conquer the concrete jungle. City Bikes are fun, but they are really their best when your outfit is so tops that people can't but help stop and stare. It's like a public service you are doing for the rest of the city. And Nuno Captain folds up in a jiffy to take your outfit from meh to meow! Let's face it. Your bag may be great, but chances are in the city, there are a hundred other gals with the same bag. So avoid the moment of shame when you realize the person standing next to you on the subway has the same purse, and tie on your signature look with a fab Nuno Wrap. Whoa lady! How is it possible that your glasses got so dirty? Well, in the city there are too many reasons to list. But the most important thing is that you have a way to fix it. And it just turns out that Nuno Wraps have just the silky touch to help wipe that city grime right away. How many times have you been to a meeting or event, when you put down your water bottle for a second. And then realize that there are 10 more on the table that looked just like yours? Our handy little wraps will not only declare you as the rightful and stylish owner of your water bottle, but it will also help to keep it cool. Win. Win. It never fails, you go shopping prepared with your shopping bags, but you simply don't have enough room for all the goodies you've found. By keeping a Nuno Wrap tucked away in your purse, you can tie up a boho bag in no time. To create a bag, first fold your wrap into an inside-out triangle (pattern on inside). Tie knots on the two outside corners and turn wrap inside out (pattern on outside). Finally, tie handle at your desired height, and you're good to go! To learn more ways to use your Nuno, be sure to sign up for our mailing list below. You'll get a free download with many ways to transform your Wrap into something fab and fun.